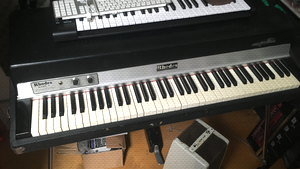 KitMonsters – Fender Rhodes Stage 73. The music makers’ guide to making music. 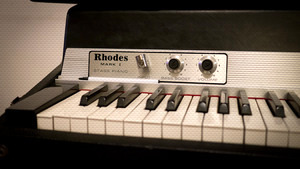 This vintage beauty is an electro-mechanical piano invented by Harold Rhodes in the 1950s, and later made in collaboration with Fender. 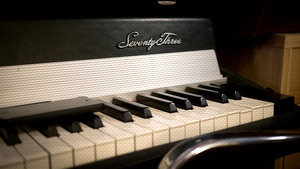 Its shimmering sound was hugely popular in the pre synth 1970s era, and it has also been used by more recent artists wanting a distinctive sound. It has a keyboard like a piano and the hammers hit spikes that are amplified. It has a ‘creamy bell-like tone’ and great bass sound. Artists who have used one include The Beatles, The White Stripes, Ray Manzarek of The Doors, Herbie Hancock, Stevie Wonder, Muse, Portishead, Ty and Radiohead. There’s a fascinating story behind the invention which has its roots in the “Army Air Corps Piano”. 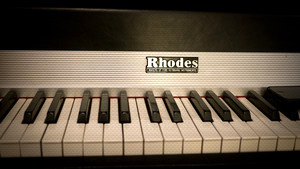 Harold Rhodes was a famous piano teacher, and was asked by the Air Surgeon General to start a music therapy programme. He devised “laptop” pianos made from old aeroplane parts to help convalescing service personnel. He later refined his design and exhibited it at NAMM in 1946, and there were many subsequent models. 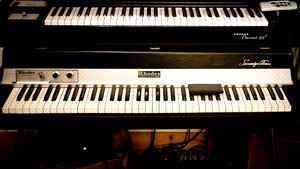 Here’s Ty producer Drew Horley on his Rhodes 73 MK I.